Wired has a look at a set of satellite photos of feedlots - Factory Food From Above: Satellite Images of Industrial Farms. Seen from a satellite, an industrial feedlot has a sort of abstract beauty. The washes of colors, the juxtaposition of organic and rigid geometries, initially obscure the subject. 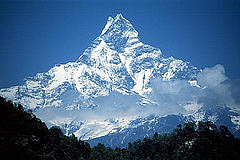 Then comes the realization: That’s where our food comes from. 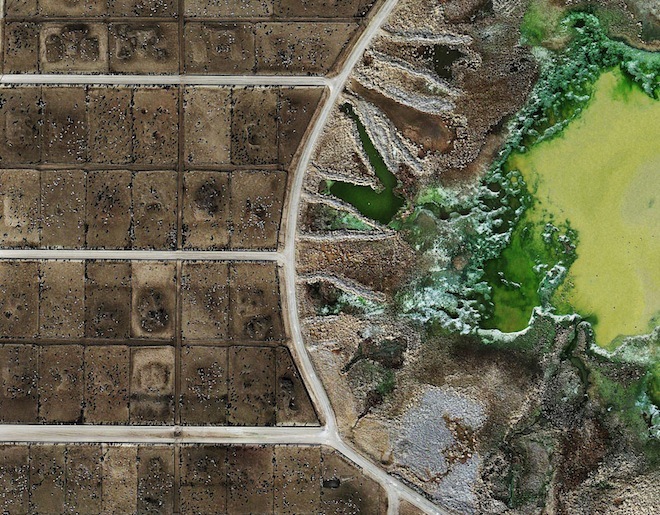 Such is the power of “Feedlots,” a new series of images crafted by British artist Mishka Henner from publicly available satellite photographs. Henner does work with the photos, enhancing the colors — the waste lagoons above, for example, are flat green rather than bright — but the physical details are unaltered. Henner, who noticed the feedlots while scanning for pictures of oil fields in Texas, didn’t at first realize what he was looking at. Factory farms exist in the United Kingdom, but not at landscape scales. "Some proposed ag-gag laws would also cover zoos and puppy mills, and would officially label anyone who breaks them as a terrorist."